Paris-Saclay offers the perfect environment for innovation, thanks to its R&D sites of major international groups, its higher education partners including the University of Paris-Saclay, its outstanding facilities and infrastructure, its business incubators and accelerators, and its specialized research institutes founded through public-private partnerships. Accounting for 40% of public research and private R&D in the Paris region, the Paris-Saclay innovation cluster is a showcase for French innovation. On May 23, 2018, for the first time in Paris-Saclay’s history, all the key stakeholders in the fields of innovation, research, science and economic development will be coming together to present technological innovation and scientific excellence on the sites at which they take place on a daily basis! If you’re an investor on the lookout for the game changers of tomorrow, come and meet our start-ups at the innovation villages, during pitch contests or on a one-to-one basis in our B2B meeting areas! If you’re looking for the perfect place to base your research center, come and discover some of the many benefits the area offers by viewing some of our major R&D sites and our outstanding facilities and infrastructure by registering as soon as possible for one of our innovation tours! If you would like to discover the research services and opportunities available from Paris-Saclay’s research laboratories or to find a partner for your R&D projects, come and visit our innovation villages where Paris-Saclay’s start-ups, small to medium-sized businesses, major groups and laboratories will be presenting their know-how and prototypes! If you would like to chat with our professors, students, researchers and companies about societal challenges and the place of people in the innovation process, come along and attend one of the conferences and keynotes organized by the University of Paris-Saclay! The topics covered will include ethics, SHS concerning breakthrough innovation and the environment. Paris-Saclay SPRING is an event jointly organized by: the Paris-Saclay Development Authority, the University of Paris-Saclay, the urban communities of Paris-Saclay, Saint-Quentin-en-Yvelines and Versailles Grand Parc, the Chambers of Commerce and Industry of Essonne and Versailles-Yvelines, in partnership with: the Systematic cluster, the IRT SystemX, the CEA-Tech, Finance & Technologie, Incuballiance, the SATT Paris-Saclay, Scientipôle Capital and the VEDECOM institute. Let’s Sing 2018 comes to PS4 and Switch with a complete new and chart breaking track list! Turn up the volume, grab a mic and get the party started with a variety of unique game modes, “Classic”, “Feat.”, “TV” and “Mixtape”. Expand your track list by via the new online store which offers various new song packs for you to purchase. Use your Smartphone as microphone and jump into the game quick and easy! Download the Microphone companion app to your smartphone and get the party started! 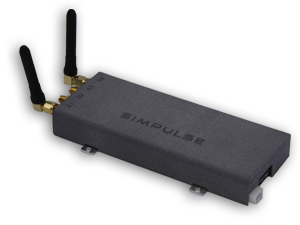 Simpulse announces availability of its newly released SL100 Mobile data-link modem. SL100 is a professional ultra robust radio link solution dedicated to very long-range and highly mobile data transmissions with bitrate from 10 kbits/sec to 5 Mbits/sec. SL100 supports bi-directional links for data/video, telemetry and control command. The modem features superior robustness in mobile conditions and very high sensitivity using proprietary waveforms and SDR technologies.